Breaking: a faction of Anonymous has released an MP3 recording of an FBI conference call which took place on January 17th. During the call, which is currently posted on YouTube, members of the USA's FBI can be heard discussing several Anonymous and LulzSec related cases with investigators from the UK. Today's leak helps explain just how "Anonymous Sabu" (leader of the LulzSec group) appeared to have insider information regarding the postponement of Jake Davis a.k.a. 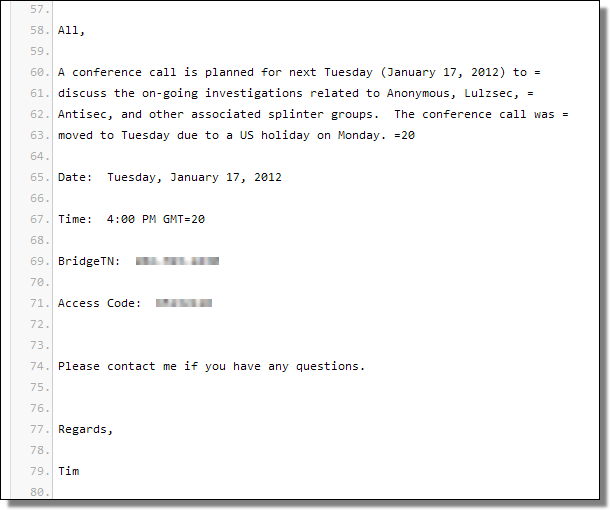 Topiary's (LulzSec member) trial on January 27th. 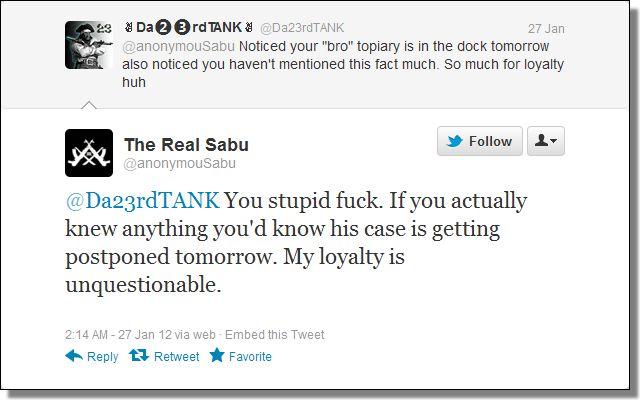 Sabu appeared to have some sort of insider information. And in fact, he did… Topiary's trial date and its delay was discussed during the conference call.